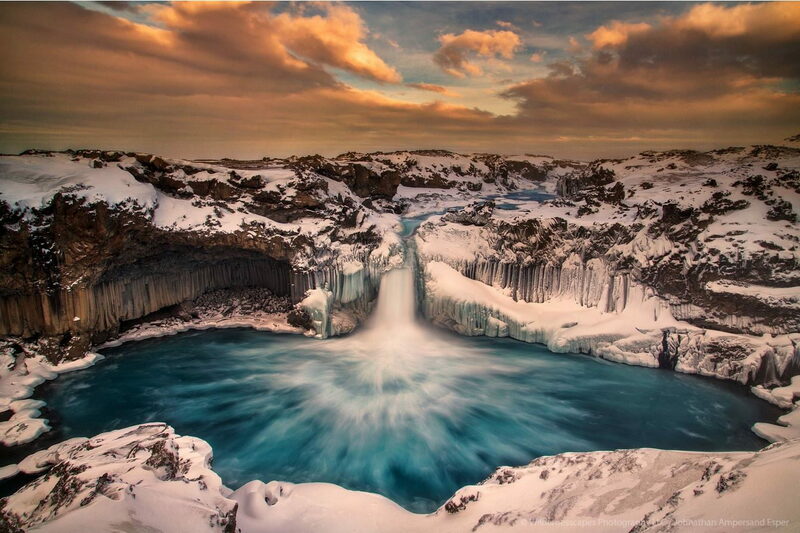 Aldeyjarfoss waterfall in winter, Icelandic Highlands. The title reflects how we skidded sideways and off the road around a bend in our superjeep after returning from the falls, but the driver nonchalantly just kept on driving out of the snowbank and ditch and kept on going. Photo © copyright by Johnathan Ampersand Esper.